There was a time when people communicated by letter. The posted letter was very popular in the centuries immediately before our present one. Etiquette demanded a response, but if return was by pony express (let’s say), one could reasonably expect to wait six months to a year. 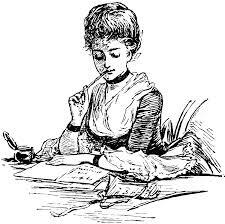 The advent of the telephone did not annihilate communication accomplished by writing on paper. Passing over the obvious–party invites, thank you notes and letters to one’s political representative–people continued to correspond, in friendly manner with each other, by writing. However, the plethora of communication choices has corroded popular esteem for the letter. Here I will state boldly that I refer not to the letter written by hand, still used in formal occasions, but the letter written by easiest transfer, the internet. An email letter does not pose the problem presented in text messaging, which problem many circumvent through abbreviation of words. Nonetheless, text messaging does not lend itself to gravity, dignity and formality although it works well with hysteria, flippancy and shock. With the preponderance of techniques for and ease of communication, it is a wonder to see it break down so severely. I see it among my students and I see it in my own life. People eschew the (email) letter although it is perfectly obvious, from abundant posts made by friends in various forums, that they go online. Others have recoiled from the onslaught of communication by making themselves unavailable. They may avoid Facebook, Instagram and so on like the plague, using the internet only to make plane reservations. Their use of the internet may be easily perceived by a friend, on the spot, through instant notification from Skype,etc. (if one has ever talked to said friends via a chat service). 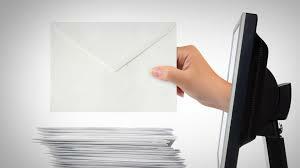 Some cannot be bothered to answer emails–neither in six days nor in six months. In one way or another, we have all been guilty. Perhaps it is the insignificance of the screen upon which we view the words. Just as sages have warned that this is the century that will be undocumented by pictures once technology used to store the old becomes so outdated that the pictures are irretrievable, so too will much of our (written) lives be lost through the insignificance of the humble email letter.